We're showing the South End some love this week, heading down Robie to Inglis and back up South Park, crossing between Citadel Hill and the Common to Agricola Street with the option to make it about 4K by cutting across Spring Garden. Map the route here. And don't forget to vote for your favourite NEBR tee shirt design for 2014. 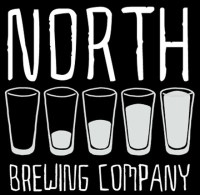 Reminder that we leave right at 6PM, so please arrive at North Brewing Co in time to kick it off.